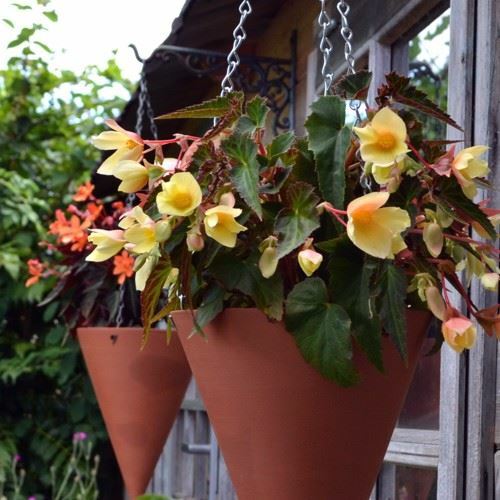 These cone-shaped hanging planters are supplied with chains and can be hung from a wall with a suitable bracket or with a nail, screw or hook directly from a pergola or perhaps garden arbour. Arranged in groups these hanging planters can provide stunning cascading floral displays to enhance your garden & patio areas. To help prevent water-logging these pots have a drainage hole in their base. UK made in our Nottinghamshire pottery from fine English terracotta clay. Available in two sizes for you to choose from below.